Hunting Lights - Stradbally Farm Services ltd. 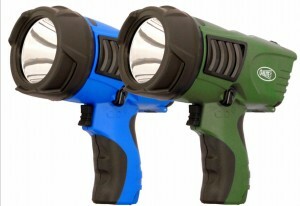 The most versatile and reliable torch in the Clulite Range. High powered with a piercing beam. 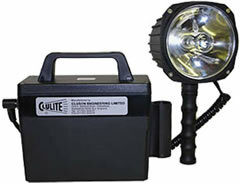 The multi-directional lamp head can be removed from the power pack making it perfect for direction control. This is made easier with its adjustable pivoting head. 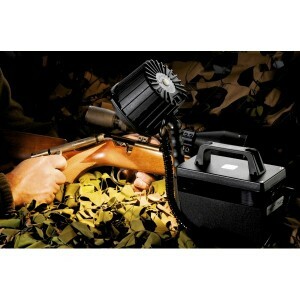 The lamp head can also be mounted onto ATV’s, Gun mounted, or even attached to the windscreen using a LSK Screen Mount. Duration: 1.5 hours on high beam, 8 hours on low beam. Charger: Mains & Vehicle charging lead. Lamp, Wrist Strap, Mains & Vehicle Charger. Incredible power from such a small torch producing a fantastic 700m beam. 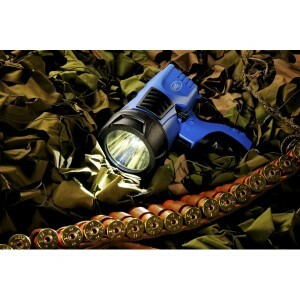 This high tech torch is a real stunner with its camouflaged look.